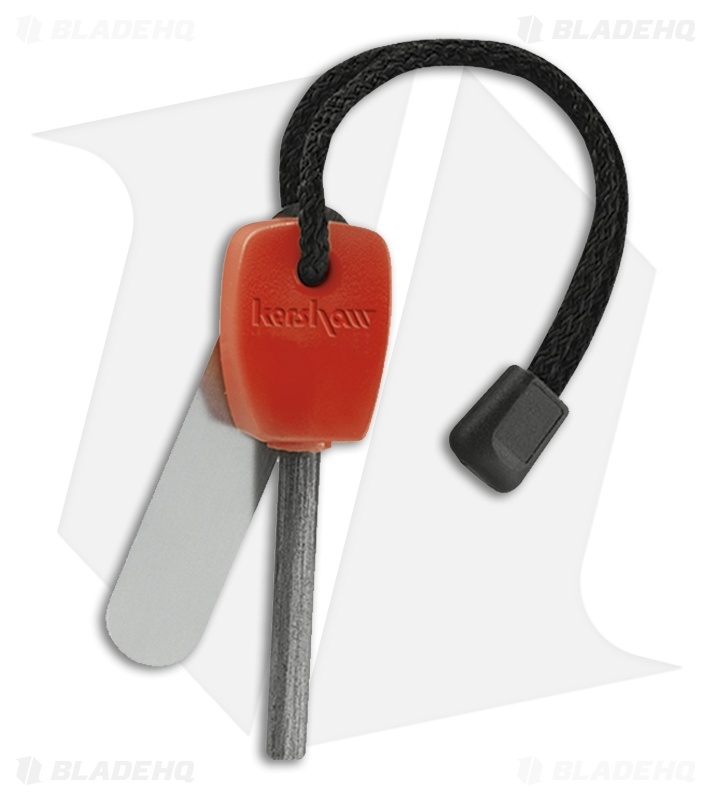 The Kershaw Fire Starter is a great camping tool. Its magnesium steel 1.75 inch striker ensures sparks fly with every hit. Weighing only 1.1 oz., this tool is perfect for your pocket or key chain. Good for approximately 3000 strikes, it will ignite in rain or snow. Works as a signaling device. It also produces a spark reaching a temperature of 3000ºC.